When I was a teenager, I went through a phase for like three years where I adamantly insisted that I hated hot dogs. Growing up in the Chicago suburbs, this was probably frustrating for my family, as hot dogs are kind of a “thing” here–and a staple option for dining out. But as teenagers tend to do, I got a little bratty when that option was ever brought up. In fact, the smell of a hot dog did make me want to yack a little. But the funny thing is, I couldn’t tell you why one day, out of the blue, this random food became suddenly unappealing to me. I hadn’t had any bad experience with hotdogs, or gotten sick. I just hated them. Then, just as suddenly, I finally ate a frank, and everything was back to normal. Now, I even have moments where I crave them. 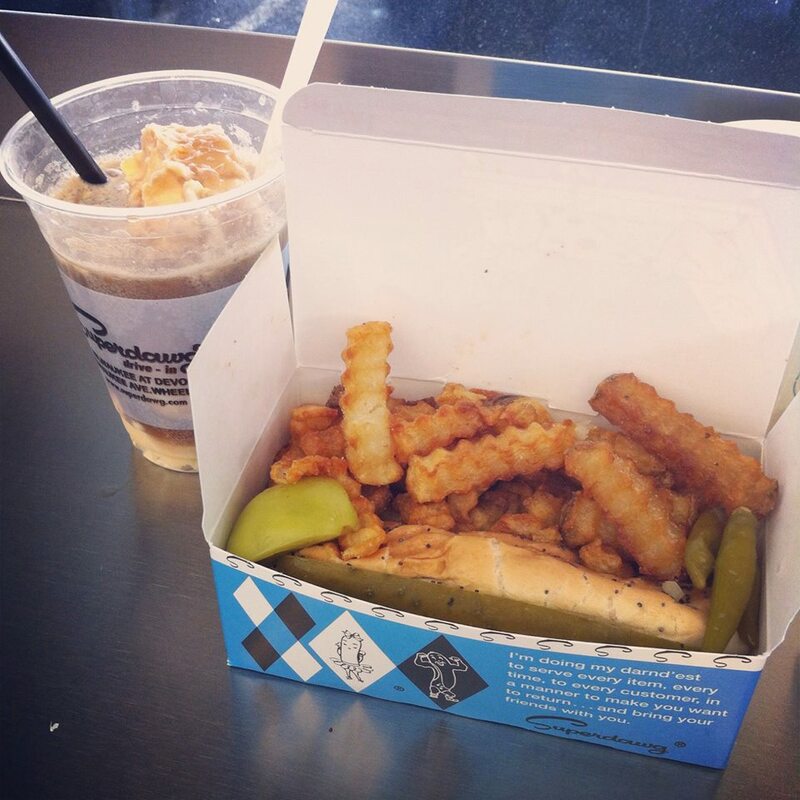 Proof that I like hot dogs again–from a trip to Superdawg with my dad. Bear with me while I switch gears for a second. I’ve worked in television news now for more than five years, and for a time I swore that I would never work on a morning show. You see, in TV, working “mornings” really means working overnight (hey, it takes time to put a show together that starts at 4:30!). And as a girl who’s always valued her sleep, it didn’t seem like a shift that would work for me. For the past two-and-a-half years, I enjoyed working 1-10 p.m. in Austin, and sleeping in like a college kid home on spring break. And when I was offered a morning show producer job at my current station in Chicago, changing shifts was what intimidated me the most. I asked other morning show friends what to expect, and prepared for a weeks-long adjustment period from hell. 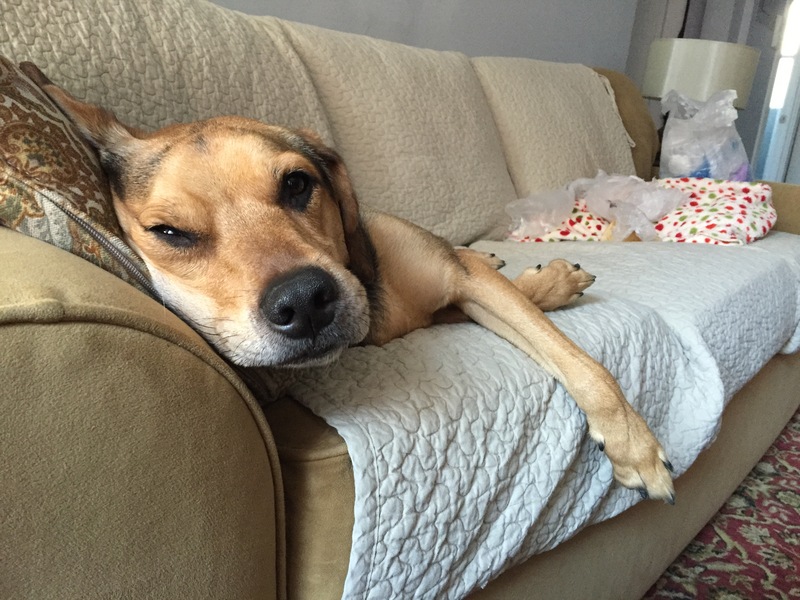 Some days, working overnights make me feel like my dog and I are glued to the couch. Then a funny thing happened. I found that I was able to fall asleep at 3 in the afternoon a lot easier than I expected–and stay asleep (for the most part) until my 11 p.m. wakeup call. I’ve been coming home with hours ahead of me to use however I want! I’ve got time to cook (I haven’t), to exercise (I’m working on it), or to catch up on so many TV shows (no comment). Sure, the nature of my schedule means I’m getting a little less sleep (Goodbye, 10 hours a night…). But I’ve discovered how much I can do when I have more hours in the day. I came to a painful realization that–gasp!–I actually kind of like my new shift. Are you starting to make a connection here? I know claiming to hate hot dogs, when you actually don’t… and claiming to hate working overnight, when you actually don’t… are not exactly the same thing. Except, they kind of are. The thing is, we human beings are stubborn. And we also sometimes think we know more than we actually do. Put those two things together, and you’ve got a lot of people missing out on a lot of things simply because they think they don’t like them. 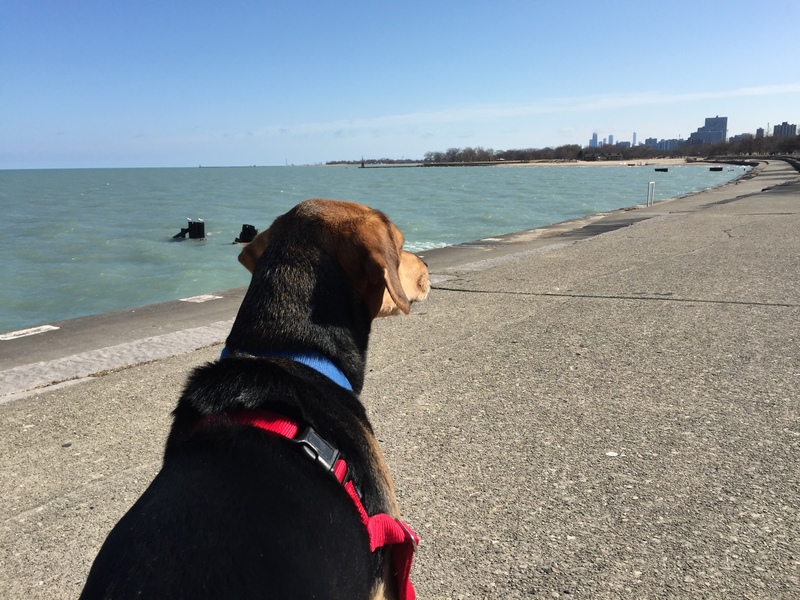 Enjoying my new freedom in the daytime hours with a walk to Lake Michigan with my dog, Mack. But on the flip side, I miss out on rush hour, my weekend starts at 10 a.m. on Fridays, and I have hours of glorious daytime to enjoy when I get home. (Not to mention, it’s a job that’s afforded me a big step up and a move to my hometown.) If I had focused only on the things I thought I would hate about this schedule, I would have never taken the job. Instead, I got much more than an opportunity; by setting aside my expectations and being open minded, I’ve been able to go beyond tolerating my new lifestyle, and actually enjoy it. Maybe I’ll celebrate with a Chicago dog.